Happy New Year everyone, it's Drea here, with the FotoBella Design Team!! 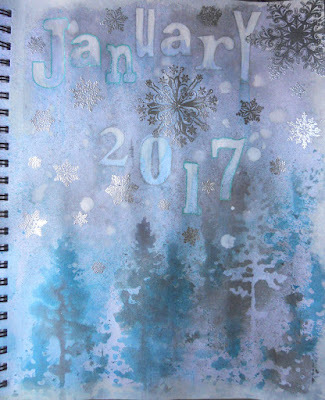 In the spirit of the New Year, I thought I'd try something new, so I bought an art journal to enhance my creativity. I started out with two pages, but messed up the first one so bad, that I tore it out and threw it away. Once I got going though, this page came together pretty quickly, and was so much fun to do! 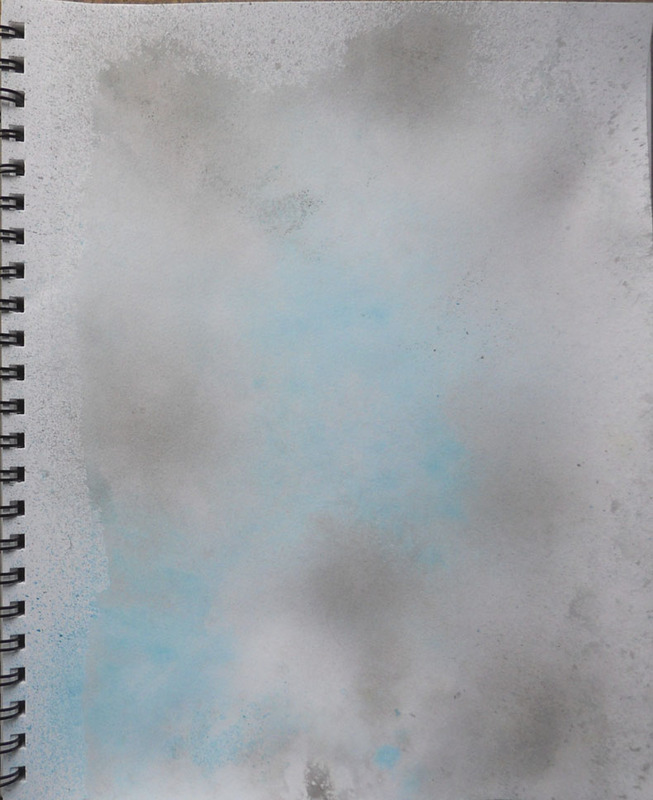 I sprayed my entire page with a little water, and a couple of Distress Spray Stains (Broken China and Hickory Smoke). 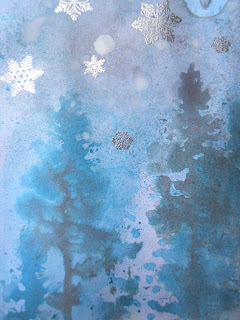 Then I used an older tree stencil to mask the bottom, spraying it again with the same colors. 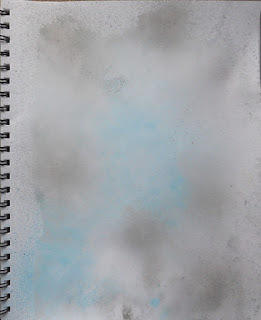 Not wanting to waste any sprays on the stencil, I pressed it onto my page, repeating the process a few times. 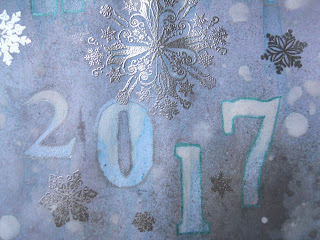 I also masked the year and month using the older Tim Holtz alphabet mask with the same sprays. 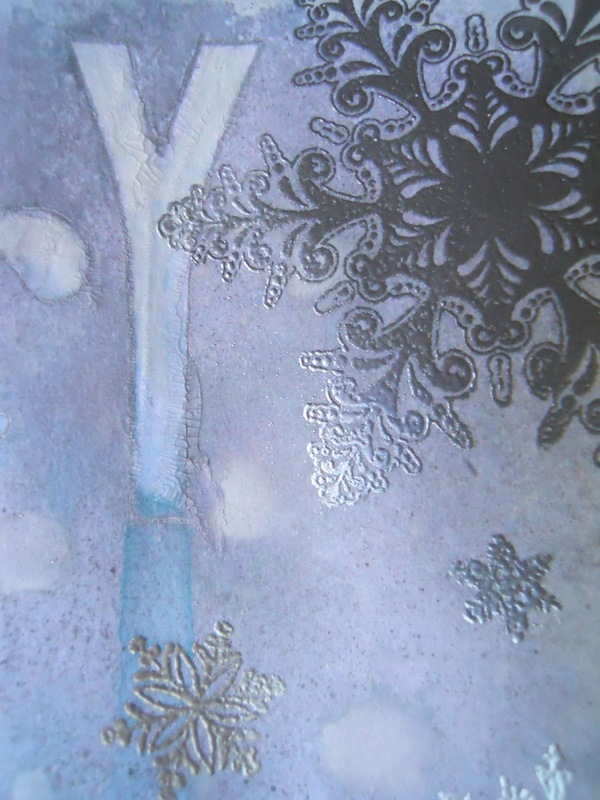 Then I used a white Lindy's spray to paint snow along the tops and sides, and outlined them with a couple of gel pens. I actually thought it was done at that point, but once I took photos realized it needed something more. 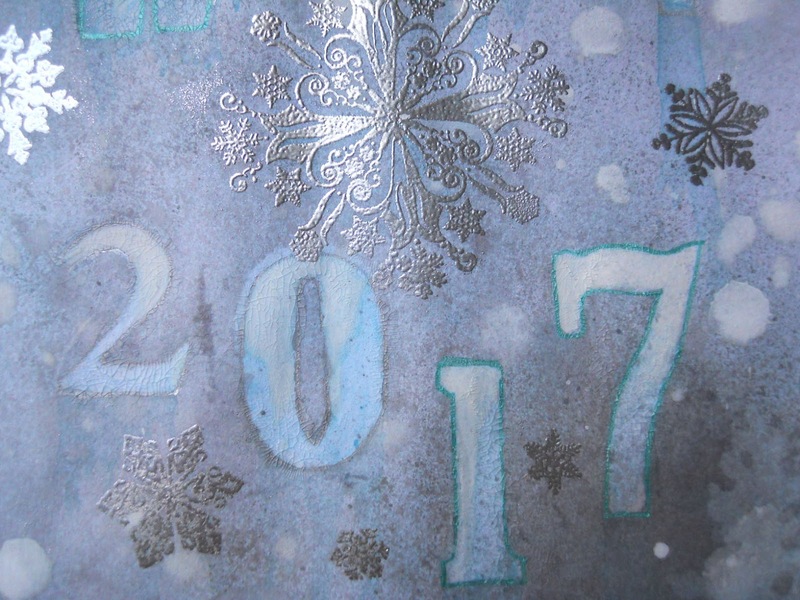 So I took the smallest Bo Bunny Palette Knife to apply a coat of Tim Holtz Distress Collage Medium Crazing over the letters and numbers, which produced the icy effect I was going for. To enhance the crackling, I used a paintbrush with some watered down Broken China Distress Spray Stain, wiped it away on top to reveal the snow, and painted icicles along the bottoms. After adding some white spray to my page, I embossed the snowflakes using Bo Bunny's Snowflakes Stamp with Ranger Silver Embossing Powder. Thanks for looking, and stop by FotoBella for all of the new goodies that are coming out!